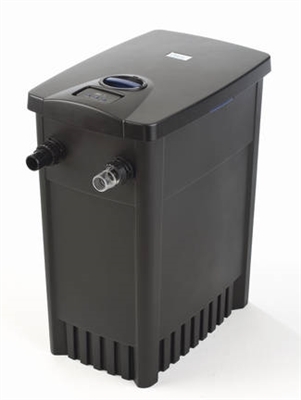 A top filter for minimal maintenance. Transform your pond cleaning! 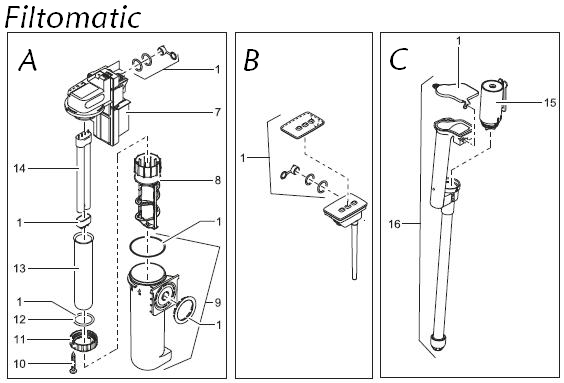 We keep a range of spare parts for all Oase products. 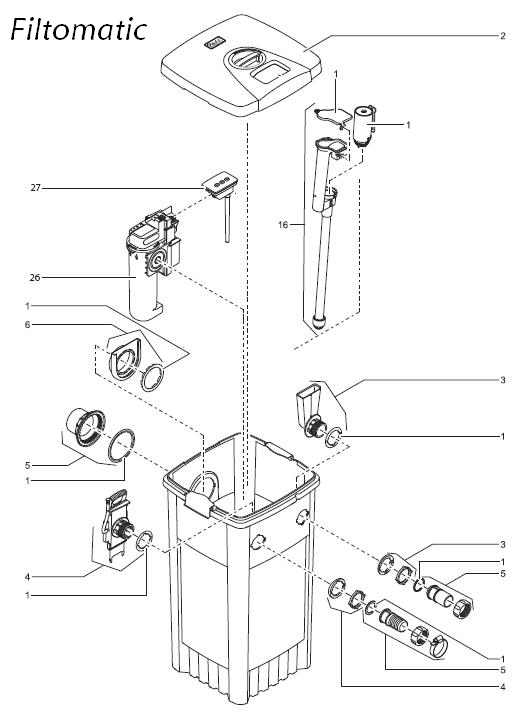 If you need a part, click on the exploded diagram, note the part number and contact us for availability and price.